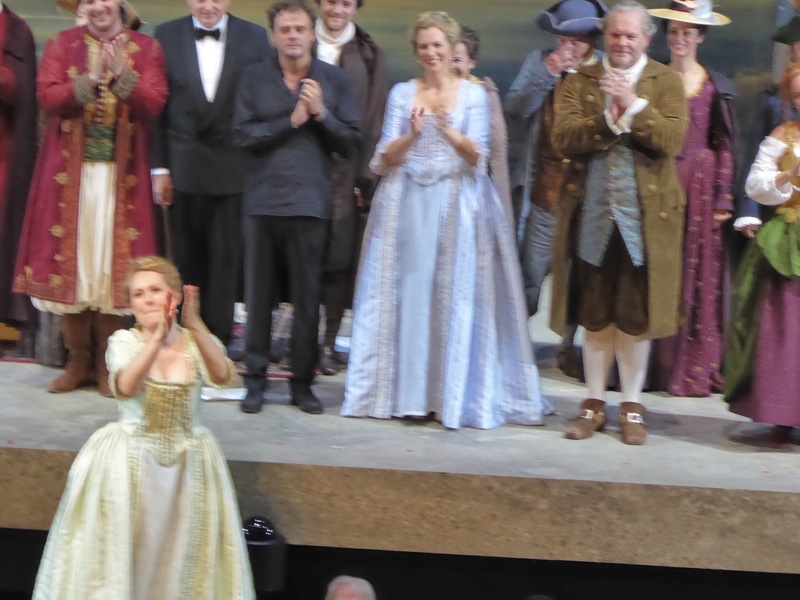 When Don Alfonso is in charge: “Così fan tutte” in Salzburg. Even if this is my third season attending Salzburg Festival, I have not yet had opportunity to see a performance at the Felsenreitschule, thus when I saw that Cosí will be staged for the venue, the decision of the right weekend choice for the festival visit was made, – the performance attended was last this season. I need to admit that Cosí somehow has been bit elusive from my opera favorites list, even in Mozart-only section. Probably, the main theme with generalized title and schematic libretto, which seems a tad too long, has put me off, and somehow I could not overcome the literary, libretto based scepticism, and immerse into the beauty of genius Mozart music. Unfortunately, also last night experience did not get Così higher on the list. The staging in Felsenreitschule provides with vast staging options, and the acoustics of the venue are surprisingly good regardless of the seating. The stage is very wide, with several entrance points and overlooking galleries. The orchestra pit for this performance was integrated part of the stage, and the ledge where protagonists were running during performance and for curtain calls looked dangerously narrow from the distance. 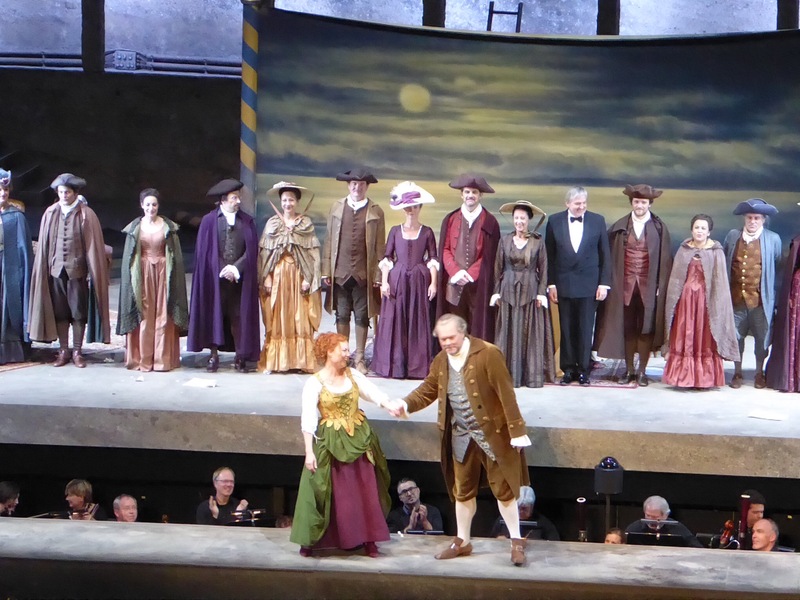 Staging and production by Sven-Eric Bechtolf is well suited to particular venue, while play with painted back panels was not convincing if this has been the best option to use on this vast stage. 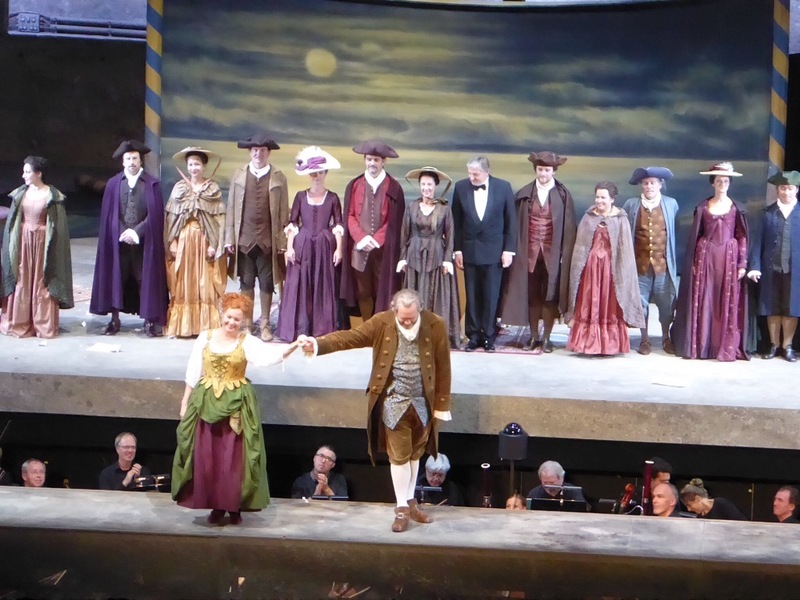 The main protagonist of this Mozart opera is Don Alfonso, last night masterfully painted with incredible skill using both dramatic and vocal means by Michael Volle, and each appearance just strengthened his role of master puppeteer. 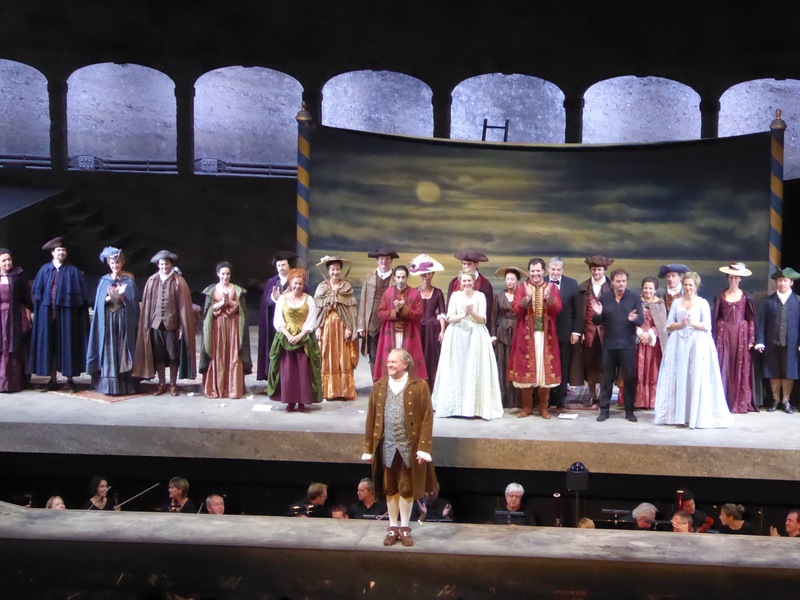 Even if overall misogyny of the opera is shouting with contemporary political incorrectness, what I read from Volle’s interpretation is burning personal story behind the scheme and heartfelt willingness to prepare young boys from possible heartbreak. In fact Don Alfonso is the one who points to weaknesses of both genders when it comes to lust and temptation.. 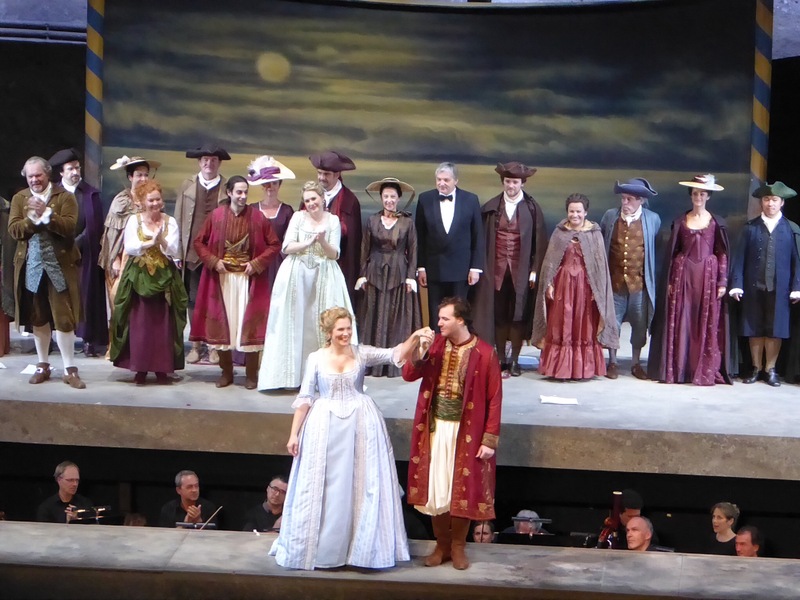 Even if being prepared to experience vocal fireworks by Angela Brower as Dorabella, I was surprised how well all three leading ladies carried through the whole performance and were able to demonstrate enviable physical stamina running the stage and climbing to the galleries and back, outstanding acting, still keeping all relevant and believable, while delivering impeccable vocal performances. Angela Brower has rich mezzo with easy and ringing top,her voice is very versatile. I have seen her as Charlotte in Werther which is on the opposite end – far from playfulness and ornamentation suitable for Dorabella. Her dramatic acting skills are very good and she knows how to create the character which becomes alive on the stage. 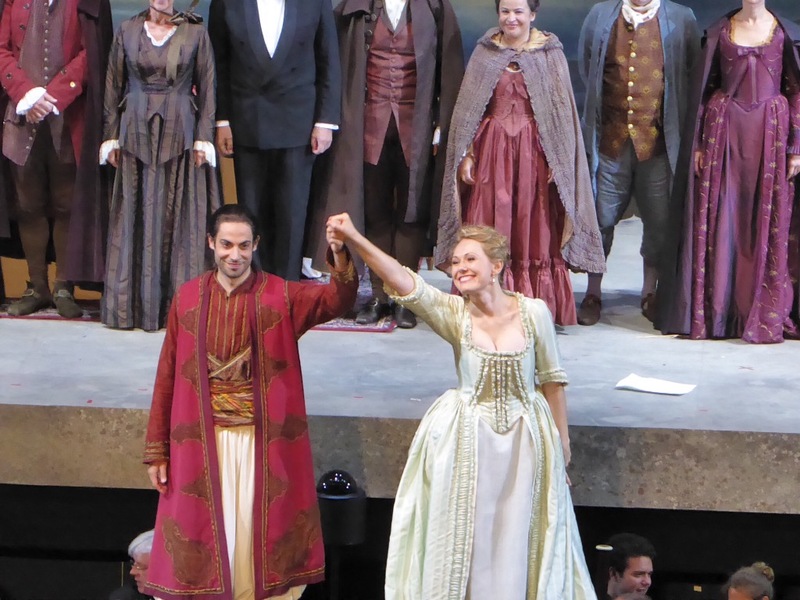 Big surprise was lively and engaging performance of Martina Janková as Despina, seemingly tiredless through many transformations and role-in-role plays, her acting synergies with Michael Volle adorable. 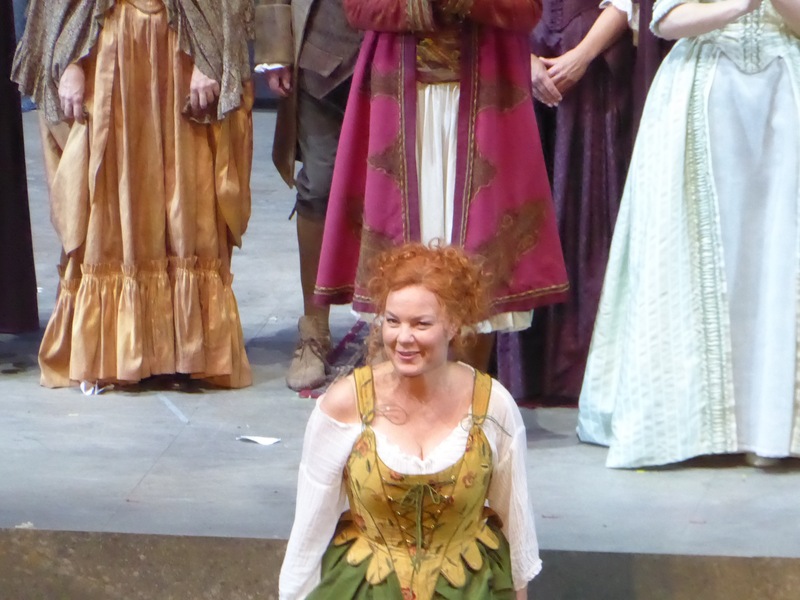 Julia Kleiter as Fiordiligi delivered well-acted and vocally convincing performance. 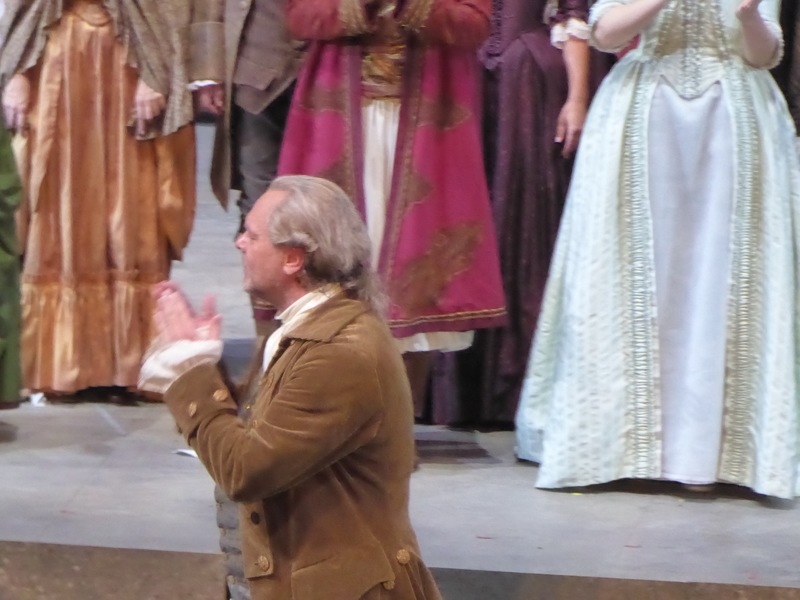 Somehow both adventurous soldiers were left in the shadow regerdless of well sung and well acted parts, – Mauro Peter as Ferrando and Alessio Arduini as Guglielmo have earned their share of praise as well. So, visually interesting, vocally well sung, really well directed performance with outstanding singing actors on the stage – but still feel a little bit bored and probably not giving another chance to this opera for a few years – seems like once in three years is enough. Getting ready for another Mozart from the series – Don Giovanni tonight!